They say a picture is worth thousand words. And we can proudly add that a video (picture in motion) is worth trillion words. We can express all we want to say through videos. Our friends designers and animators have been showcasing this beautiful gift of creativity and they use it to its fullest potential in some truly outstanding animated videos. Today we are presenting some mindblowing and eye opening animated videos which display all the various colors of human life. These animations showcase love, hatred, sadness, jealousy, praise, beauty and ugliness. 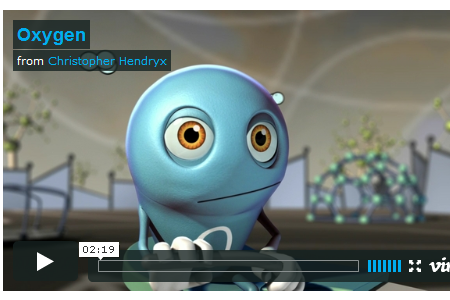 And all these animations are a true example of talent and hard work of animators and designers. What is more powerful: art or money? Does an artist need acceptance of his creativity from others? Although without sound, still a nice Aladin’s story like animation. A story about love, sacrifice and protection of loved once. You will surely love this animation. Great quality and crisp story. Winner of Best Short Film and Best Concept, 2006 Chicago Horror Film Festival, October (Chicago, IL). An educative video conveying A message about Alopecia. Do we all connected to each other? Watch this animation. A good story where a drilling on road side captivates onlookers for a hilarious reason. An animated comedy short striy will make you laugh. Story of a kiwi who wants to fly. Are we really getting addicted to the technoligy? A short tale about politicians, seats and struggles in a Parliament. A story of a robot who has just one limitation. This is a video made from the idea of the commercial against smoking and other bad habits that made a TV channel. An tribal based animation showing love of a mother. Can we trace the chain of events that leads to our own birth? Is our existence just coincidence? Do little things matter? Get answers here. A dark animation on a person’s different reactions on death. Learn a little bit of basic chemistry while watching Oxygen try to make friends in Element-ary school. An visionary animation with melodious music. In a destroyed world, the only glimpse of hope is the memory of a forgotten past. Do you use phone while driving? watch this video. Two cute oktapodis helping each other to save their lives. An educative video conveying A message about hair loss. good picks. some people really have great skills. That, is an absolutely awesome collection! The idea behind the Oxygen short is just brilliant. I could see that being a big hit at schools. Great work. Sweet, some of them are in my collection already, I’ll add “Oxygen” too. You should check my website if you want to see more. I think “The Passenger” deserves a spot. It is an amazing short. Wow it was amazing ….. I liked the Kiwi and the chair not taken. Almost all people can easily do unusual things if they have the self confidence or take the risks.